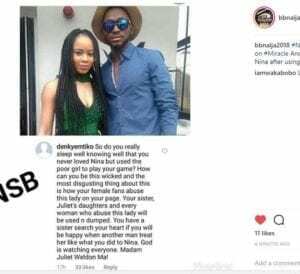 A supposed advocate from team Nina has shown how displeased he is on how the Nina & Miracles’ relationship turned up after the BBNaija Reality show. 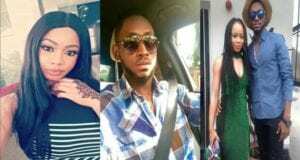 He was so angry at Miracle for paying heed to his family’s advise and allowing them influence him after claiming that he loves Nina when he was in the BBNaija house. “So do you really sleep well, knowing well that you never loved Nina…..